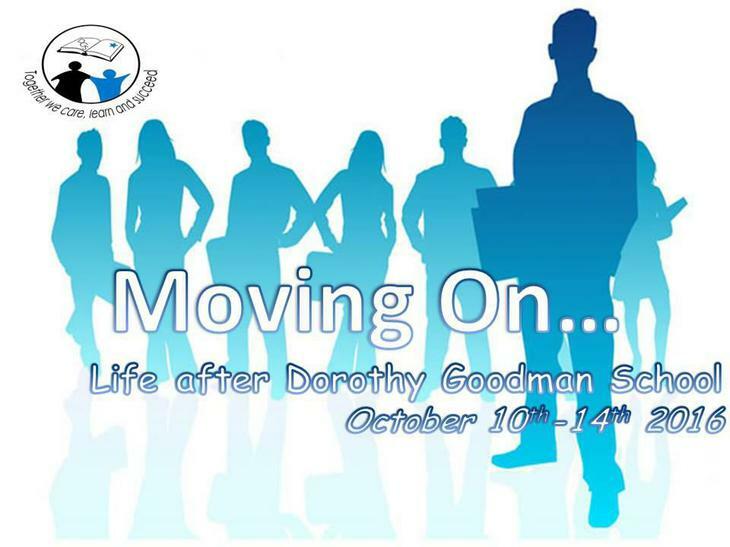 We are delighted to announce Dorothy Goodman’s first ‘Moving On’ Event, a careers and opportunities fair specifically designed to meet the individual needs of our students. This year the whole school will be participating in Fair Train’s work experience week, commencing 10 October 2016. We have a range of opportunities for students of all ages and abilities to participate in, culminating in our ‘Moving On’ Event on Friday. The ‘Moving On’ event will primarily be a careers and opportunities fair with exhibitors offering information and advice on training and education, career options, community life choice organisations, volunteering, transitions, supported internships etc. Students and staff across the school will attend and all parents/carers and families will be invited. Students with additional needs from other local schools will also receive an invitation, as will their parents/carers and school support staff. We would very much welcome your organisation’s involvement in this event. or Dorothy Goodman School, Middlefield lane, Hinckley, LE10 0RB. Sue will be happy to answer any queries you may have or provide further information.